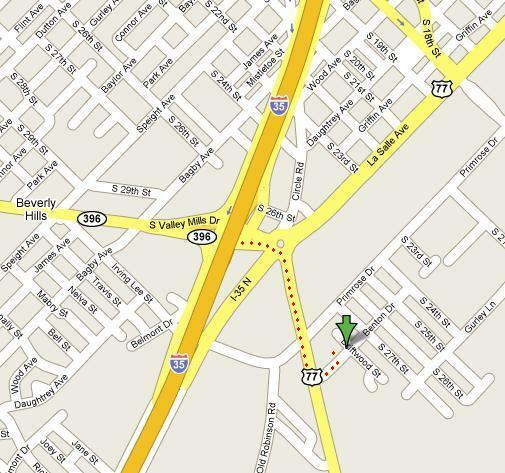 Here's a map and directions to our church house. Click on it to go to GoogleMaps to zoom out or navigate. It will open a new browser window. Take Interstate 35 into Waco. Exit at Valley Mills Dr/La Salle Ave (Exit 333A). Turn onto Valley Mills Dr.
At the traffic circle, take the exit onto US-77 South. Turn left onto Benton Dr. The church house will be on the left.